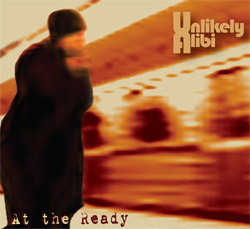 Hailing from Fort Wayne, Indiana and led by former Heavy Step member Todd Roth, Unlikely Alibi put forth an intensely creative and highly-developed sound. Elements of traditional ska, 2-tone, third wave, reggae, dub and are fused together in an exceptionally intelligent and thoughtful pop-rock framework with simply wonderful arrangements. Mixed and mastered and partially recorded by King Django at Version City.